When rocking a crying baby doesn’t soothe and quiet the little one, what’s a parent to do? Use this easy flowchart to figure out your next move. You’ll notice that at one point it says that babies just need to cry. This concept is a tough one, but think of it like this: Newborns sometimes just need to exercise their lungs. 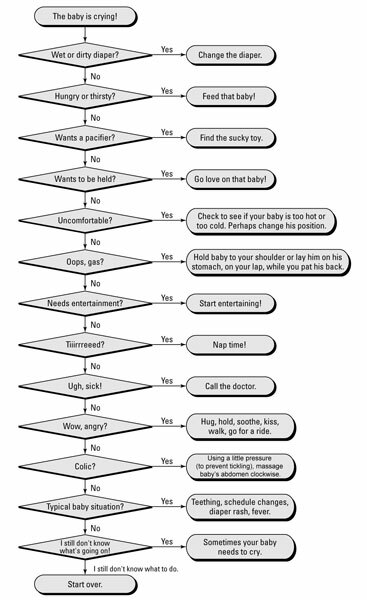 Although it doesn’t happen too often and it’s tough on parents, you may find that nothing in this flowchart ever seems to work. Sorry!